Anomoea laticlavia (Clay-colored Leaf Beetle). Size: approx. 8-10 mm. Photo: 04/08/12, noon. 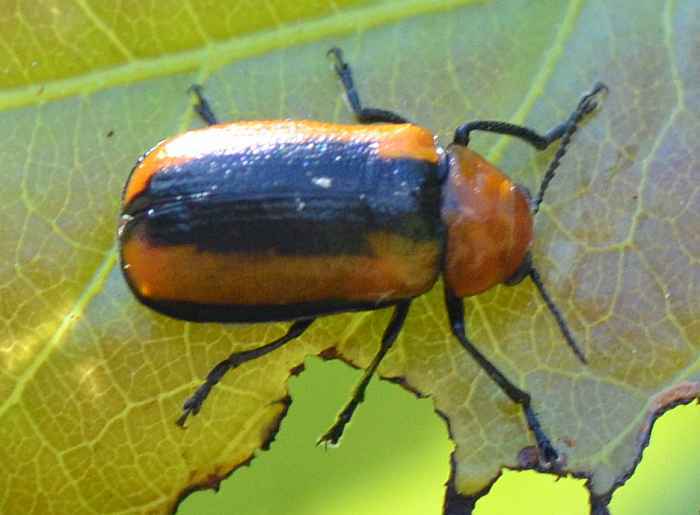 Anomoea laticlavia is fairly large leaf beetle that is also known as Persimmon Leaf Beetle. Their habitat includes old fields with growing shrubs. 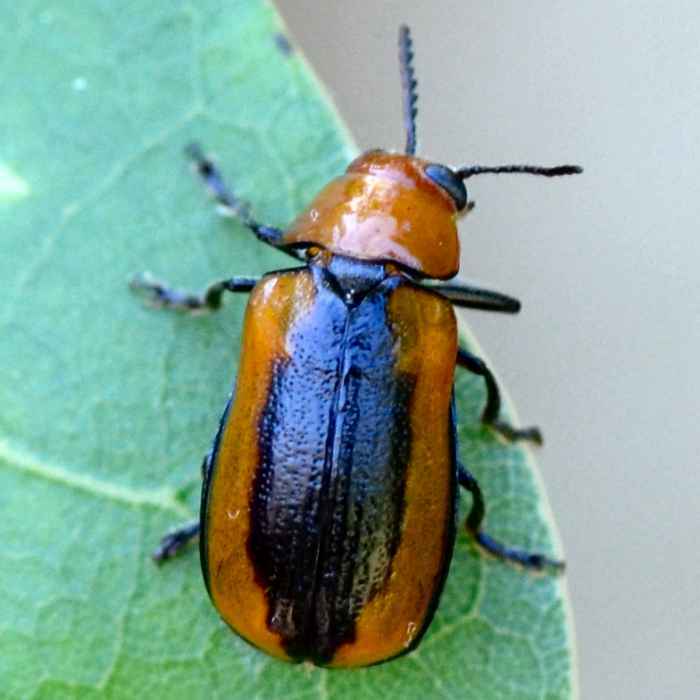 They feed on variety of plants such as honey locust, willow, oak, persimmon, and ragweed. The amount of black on their elytra is highly variable.